If you’ve read my blog for a while, you will know that 75% of my hair is FAKE. Yep. This humble head of hair is over half extensions. It’s been like that for around 5 years now. From simply experimenting for nights out, to them becoming my daily savior. As I’ve got older, I’ve become more reliant on these faux tresses attached in to mine. From clip in extensions I quickly progressed to using Micro Rings and attaching a weft of hair at home, myself. A lot of people associate the micro ring style of extensions with the single attachments, where you have loads of the tiny rings placed in your hair in individual extensions. I don’t like this style personally, as it makes your head feel much heavier and it’s so weird to feel like a walking pinhead all the time! The advantages of attaching a weft (long strip of extensions, for anyone unfamiliar with the terminology), is that you use less micro rings and they can sit more comfortably against your head. For a longer length of hair extensions, I will use around 6 micro rings. I always attach these myself. If I go to the salon to have my extensions fitted though, I now opt for the LA Weave Extension fitting. Dying ClipHair Extensions at Home. 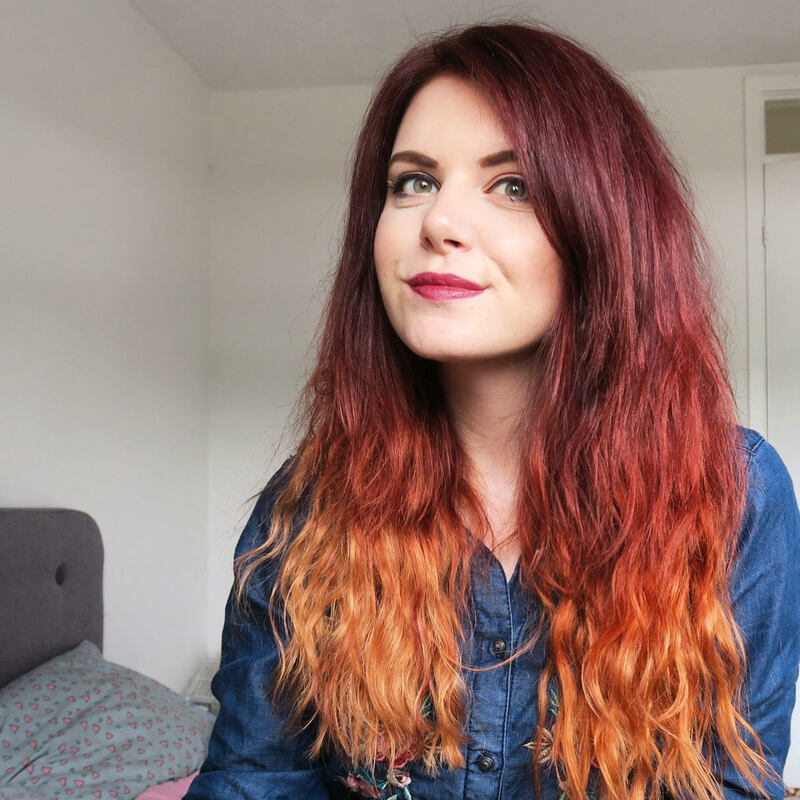 Because my hair is dip dye/ombre/balayage/whatever the label is nowadays, I always have to buy extensions in a lighter colour and dye them myself at home. Opting for a honey blonde shade, this also gives a better tone for dying with red dyes – as the ashier blondes fade quicker and don’t blend in as well. Dying the hair is very simple. Sometimes I fit them in my hair first and apply the hair dye as I normally would; concentrating on the roots and working down to create the fade, and then sometimes I will do them before I attach them. Both methods probably take the same amount of time altogether to be honest though! I usually opt for attaching first then dying. I’ve bought 4 lots of Cliphair extensions now, which kind of speaks for itself as an endorsement! Give the hair a quick wash with a clarifying shampoo and dry before dying for the first time – most hair has a silicone coating on to add the silkiness. Treat the hair with extra care when rinsing and try not to wash again for 5-7 days after you’ve dyed them to help the colour really stain the hair. If washing or dying extensions at home, use a coat hanger for skirts to attach them to and make blow drying a lot easier! For my latest round of hair extensions, I’ve chosen this set of clip ins and taken the clips off half and fitted the rest. That way I have the versatility of adding extra volume for nights out too! Previous Post Travel Blog: A Weekend in Amsterdam!